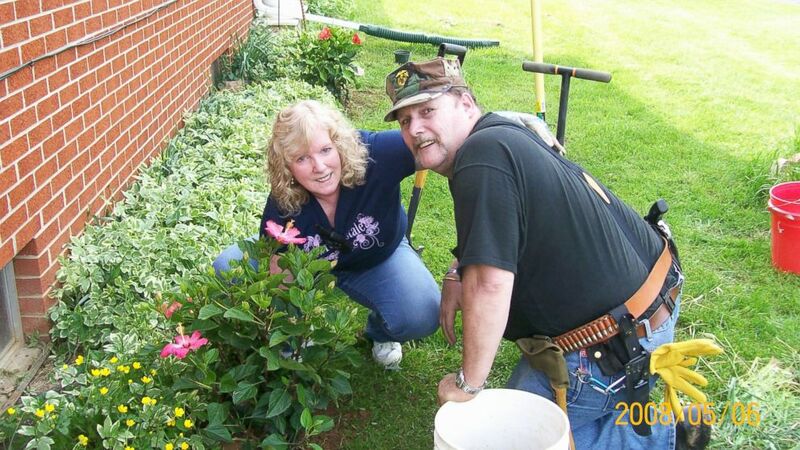 Billie Jean Hayworth and Billy Payne were found shot dead in their home. Jenelle Potter was a sheltered young woman. Potter lived most of her adult life on social media. But when an online feud erupted, two of her former friends were found murdered in their home while their baby survived. In a mystery that involved a supposed CIA agent, cyber bullying and a small Tennessee town, read below to see what led to the coldblooded murders. 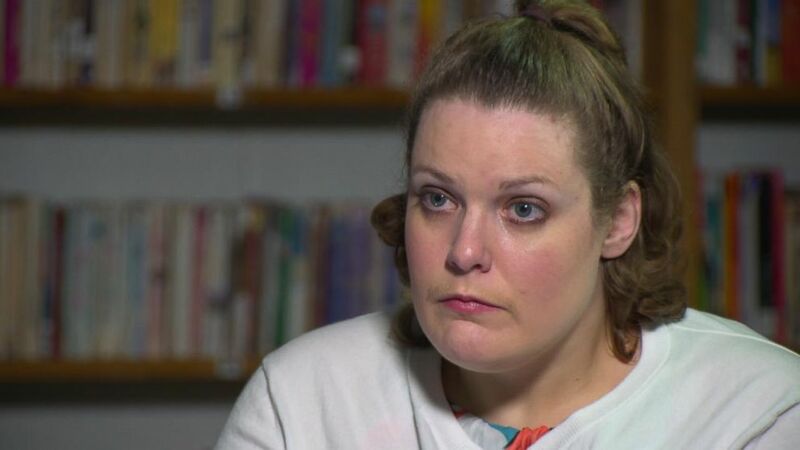 (Courtesy Tate Davis) Jenelle Potter said she had trouble making friends when she lived in Mountain City, Tenn.
Jenelle Potter, pictured above, said she had trouble making friends when she moved to Mountain City, Tennessee, in 2005. 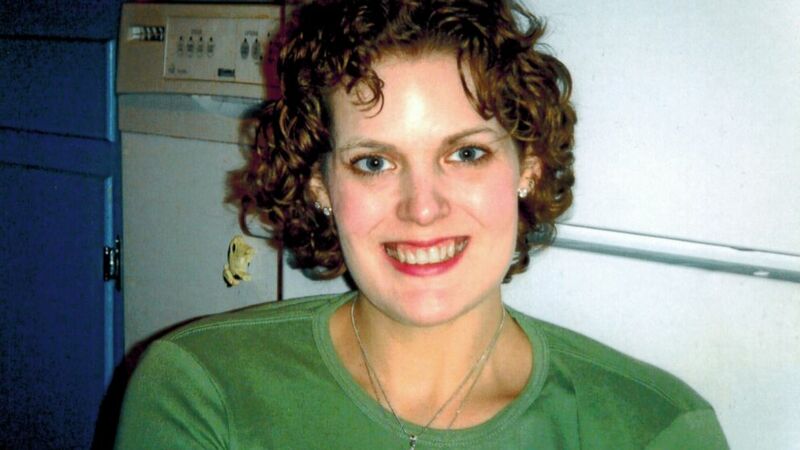 Because of health problems, including Type 1 diabetes, Potter spent most of her time living at home with her parents, who cared for her every day. She didn’t have a job or drive a car. Potter’s mother Barbara Potter had a job with Hewlett-Packard, and her father Marvin Potter, known as Buddy, was a former marine who served in Vietnam. His wife told “20/20” he later worked with the CIA. Jenelle’s sister Christie Groover, who’s been estranged from the family for a decade, said Jenelle struggled to make friends growing up. “Instead of being herself, my parents tried to make her fit in. They also, in the same breath, would say how different she was, and then [she] became unable to make friends normally,” Groover told “20/20.” Social media became Jenelle’s life support, though she said her parents monitored her Facebook page. (Washington County District Attorney's Office) Jenelle Potter, left, and Jamie Curd, right, started dating after Tracy Greenwell set them up. One day while picking up prescriptions, Jenelle befriended pharmacy clerk Tracy Greenwell. Jenelle spent time with Greenwell and her friends, including Greenwell’s brother Billy Payne. “Everybody says she fell in love with Bill, but I still don’t see that,” said Greenwell. Greenwell introduced Jenelle to her cousin Jamie Curd, who is handy with computers. The two became an item, with Jenelle hiding her relationship from her strict parents. From time to time, Curd would visit the Potter house to fix the family computer. But behind her parents’ backs, Jenelle and Curd would secretly spend time together. (Washington County District Attorney's Office) In this photo, a rock is pictured found on the front lawn of the Potter family's home. While it seemed that Jenelle’s social life was finally blooming, she was being relentlessly bullied online with anonymous comments appearing on her Facebook page. “I was a bad person. I was horrible. [They] threatened to get [me] raped,” Jenelle said. “I remember I wrote, ‘Please do not write on Jenelle’s Facebook.’ I begged them. ‘Please don’t do this,’” Jenelle’s mom Barbara said. Jenelle said one of her Facebook friends, Billie Jean Hayworth, was the one behind the attacks because Hayworth was jealous of her looks. Hayworth was dating Billy Payne, and the couple lived together with their infant son. A feud erupted on social media with Curd, Payne’s cousin, taking Jenelle’s side. But Jenelle said there were real threats of violence against her. 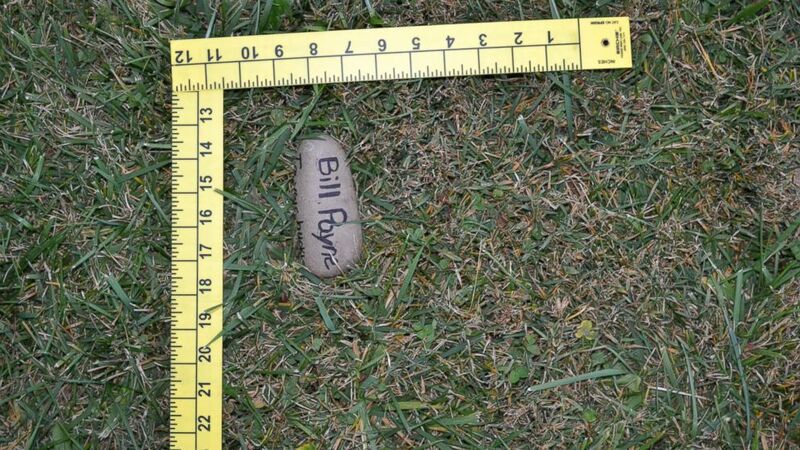 In one incident, police photographed a rock, pictured above, that was found in the Potters’ front yard with the names Billy Payne and Billie Jean written on it. Eventually both sides deleted each other as friends on Facebook. 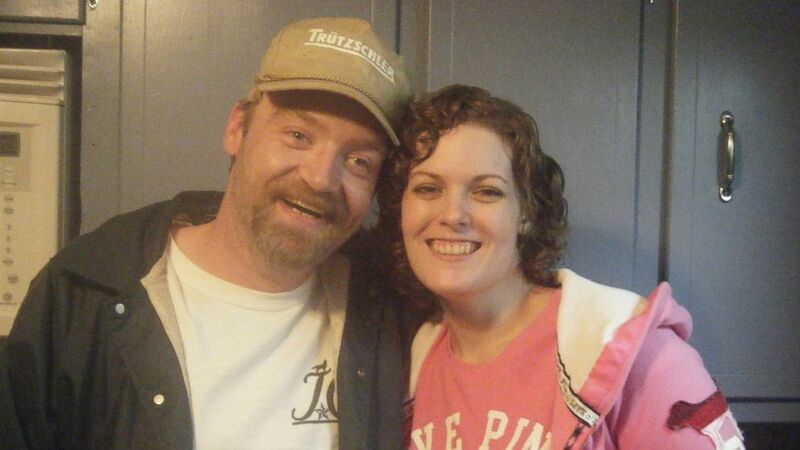 (Tracy Greenwell) On Jan. 31, 2012, a friend found Billie Jean Hayworth and Billy Payne dead by single gunshots to their faces. 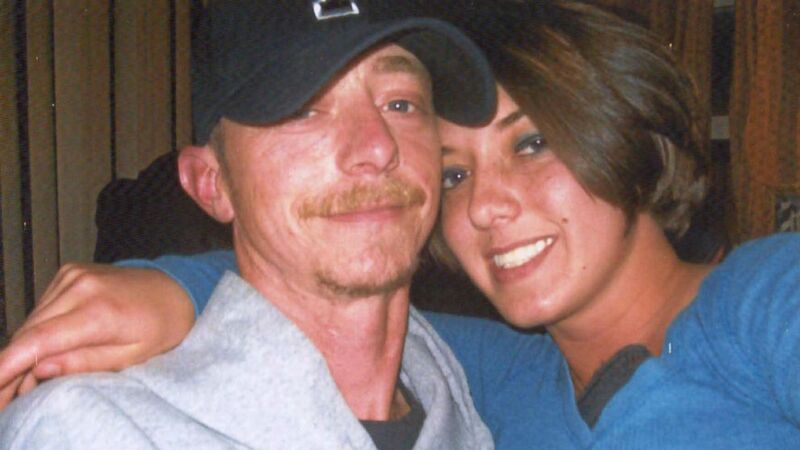 On Jan. 31, 2012, a friend of Payne and Hayworth found them dead by single gunshots to their faces. Payne’s throat had also been slashed as he lay in bed, and Billie Jean had been cradling their baby in her arms when she died. The 7-month-old boy survived unharmed. The day after the murders, Chief Deputy Joe Woodard of the Johnson County Sheriff’s Department, talked to Jenelle, Barbara and Marvin at their home, which they recorded. During the interview, Jenelle appeared to be hiding her romantic relationship with Curd from her parents. Later that week, authorities brought Curd in and asked him to take a polygraph test, which indicated he lied about knowing the identity of Payne and Hayworth’s killer. “Jamie in the interview had said something to the effect of, ‘Is the CIA here?’ That was a very strange question to me,” Lott said. In a major breakthrough, Curd told detectives he’d been texting with a man named Chris who told him he was in the CIA and that it was his job to protect Jenelle at all costs. After being at the interrogation for nearly six hours, Curd told police Jenelle’s dad Marvin killed Hayworth and Payne. Detectives had Curd call Marvin to get a confession on tape. Police later moved in and arrested Marvin in a pre-dawn raid in February 2012. Agent Lott then arranged for Marvin to call his wife Barbara. “He told Barbara, ‘I did it.’ That's as close to a confession as we got from him,” said Lott. But Barbara, pictured above with Marvin, didn’t accept her husband’s supposed confession of guilt. While Marvin was being questioned, police executed a search warrant on the Potter house. Chief Deputy Woodard said investigators found an “arsenal” of weapons around the home though none matched the murder weapon. They also discovered printed photos of the victim and her friends in the living room. At one point, Barbara ripped the photos that were found in what seemed to be an attempt to hide them from police. Authorities seized 51 items from the house, including their family computer. 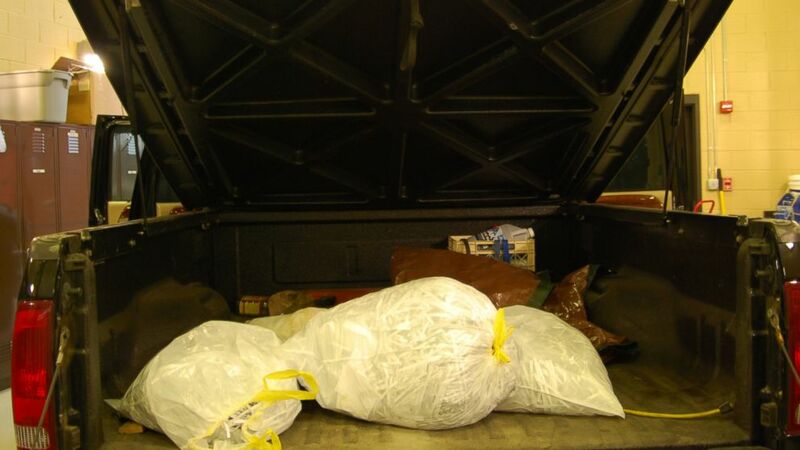 When they impounded Marvin’s truck, they found bags of shredded documents, pictured above. An agent meticulously reconstructed more than 100 pages of what appeared to be thousands of emails sent to the Potter family. “After combing through them, it appeared there was some type of conspiracy here. They kept referring to a guy Chris that’s supposedly a CIA operative or something,” special agent Lott said. The CIA agent “Chris” had apparently been corresponding with Barbara and warning her about threats to her daughter’s life. Police also honed in on Jenelle and Curd’s text messages with each other the morning of the murders. And on the Potters’ computer, police analysis found that hundreds of emails sent from the CIA agent Chris all came from the same IP address as the home where the Potters lived. Brooks believes Jenelle was pretending to be Chris. “Social media allowed Jenelle Potter to be someone that she wasn’t … She invented Chris. She could assume a different identity and be as hateful as she wanted to be,” Brooks said. Prosecutors believe Jenelle used the false identity to fool her parents and to goad Marvin into the killing. (ABC News) "I didn't murder anyone," Jenelle Potter told ABC News' "20/20." In August 2013, authorities arrested Jenelle and Barbara for the murders of Payne and Hayworth. A few months later, in October 2013, Marvin was found guilty for the murders and is currently serving two life sentences. Curd agreed to a plea deal of 25 years in prison. In May 2015, three and a half years after the shootings, Jenelle and Barbara finally went on trial. Prosecutor Brooks told the jury that Jenelle authored all the emails from Chris by pointing out the childish writing and misspellings matched her pattern of speech. After seven days of testimony, the jury found both Jenelle and Barbara guilty of first degree murder, and they were both sentenced to life in prison in July. “I don’t want anybody murdered. I did not do that,” Barbara said.